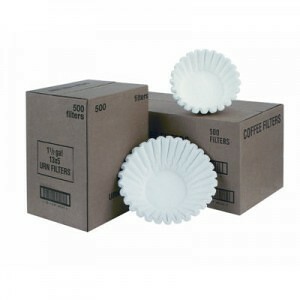 Imagine a coffee brewer that’s easy to use and makes coffee-shop quality coffee. 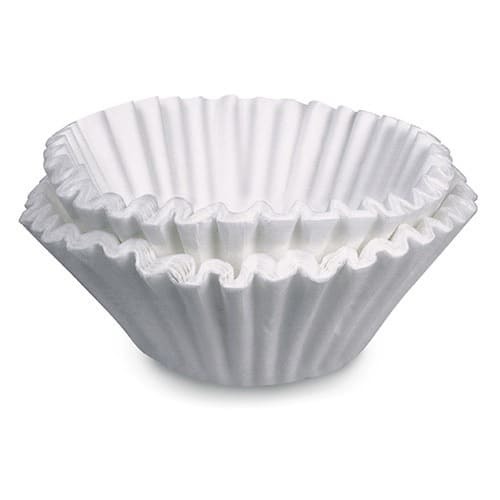 Actually, it’s easy to use and used by many coffee shops. 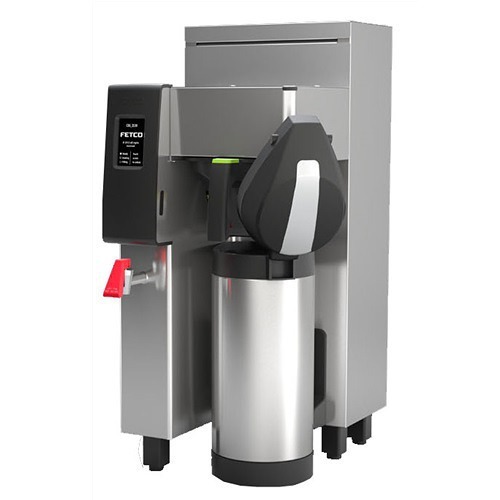 The Curtis G4TP1T ThermoPro Coffee Brewer is that brewer. It’s state-of-the-art, yet simple to operate. Best of all, it brews excellent coffee. Don’t worry about shipping, it’s completely free! 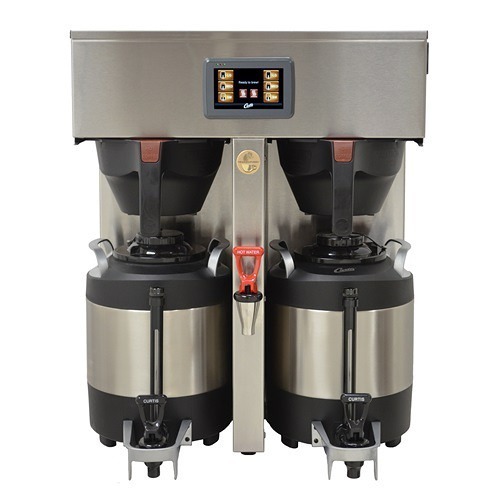 The Curtis G4TP1T ThermoPro Coffee Brewer is a twin coffee brewer that brews into Curtis ThermoPro 1-gallon thermal dispensers. The ThermoPro technology brews coffee using a pre-wet cycle and pulse brewing to extract the optimal flavor from the coffee. 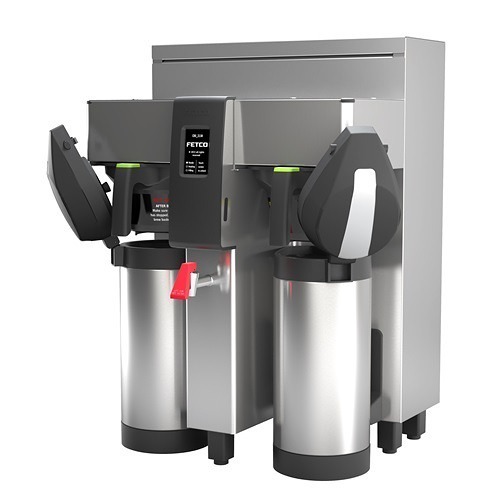 Then it brews into ThermoPro dispensers that keep the coffee hot in stainless steel, vacuum-sealed dispensers that don’t require a heat source. A continued heat source applied to coffee makes it bitter and burnt-tasting. The gravity-fed ThermoPro dispensers can be taken to remote locations and are designed to be self-serve. 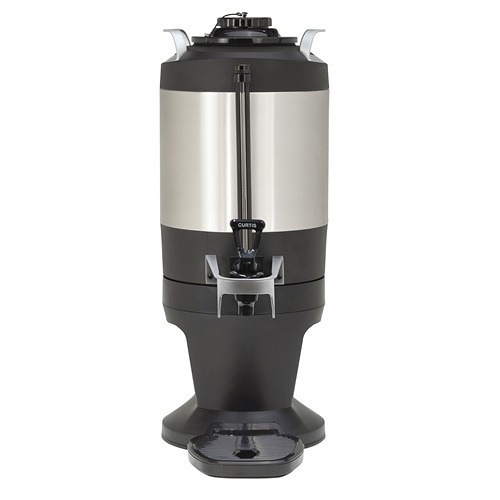 Curtis’ G4 technology makes the brewer simple and intuitive to operate. The user simply accesses the icon-driven control panel to select batch size and begin the brewing process. Global controlled are factory set, but customization for batch size, brew temperature, and brew time is easy to incorporate. 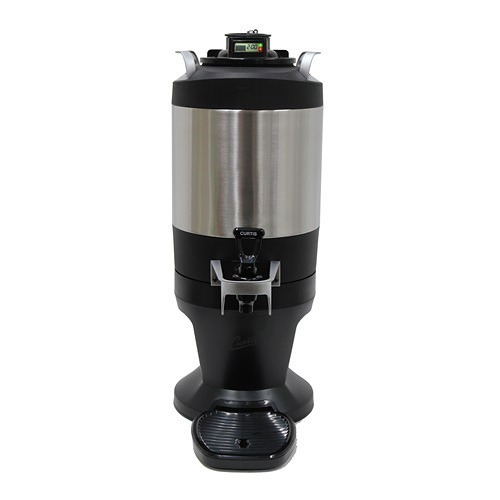 The Curtis G4TP1T uses 220V electricity and can brew 15.0 to 21.0 gallons/per depending on electrical configuration. During down-times, an energy saving mode will reduce water temperature slightly and save electricity. ThermoPro 1-gallon thermal dispensers are sold separately. The G4TP1T can be used with either the Curtis Thermal TFT FreshTrac 1-Gallon Dispenser, or the Curtis TXSG01 1-Gallon ThermoPro Dispenser.